Photo: Jack Rowand/The CW -- ÃÂ© 2018 The CW Network, LLC. All Rights Reserved. Say it ain’t so, Archie! The return of “Riverdale” was an emotional rollercoaster for fans, as the Season 3 premiere saw Archie hauled off to juvenile detention with a two-year sentence after pleading guilty to a murder he did not commit. Ever the hero, Archie accepted the prosecutor’s deal for a lessened sentence even though his trial resulted in a hung jury. The boy-next-door doesn’t want to put his parents and friends through that again! 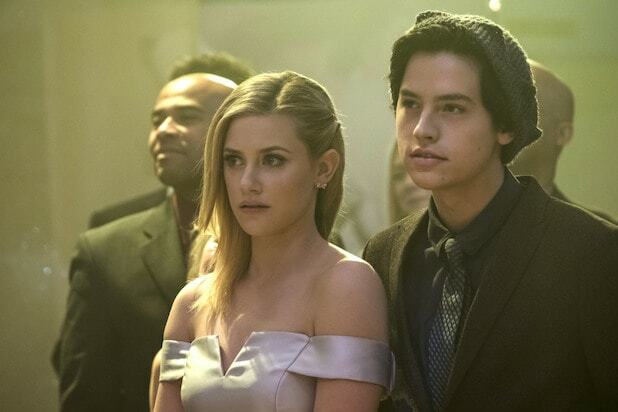 Showrunner Roberto Aguirre-Sacasa told TheWrap in an interview ahead of the premiere that we’re out of the courtroom for the season, but now everyone will be working together to try to free Archie. He also said that he was inspired by classic noir films like “Shawshank Redemption” for scenes in which Archie is behind bars. Aguirre-Sacasa also quelled our fears about Betty, who was left seizing on her porch at the end of the episode. See our interview with Aguirre-Sacasa below. 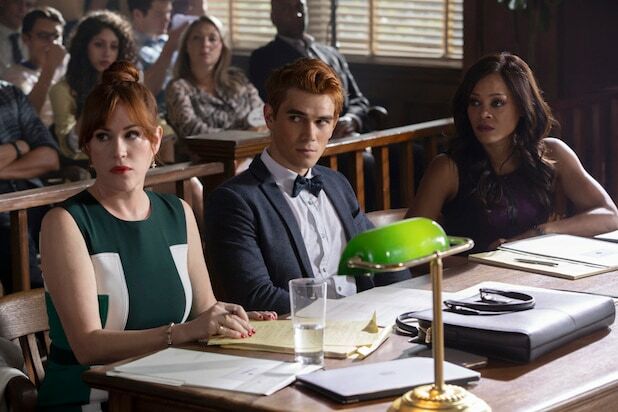 TheWrap: You’ve said that Season 3 won’t be too heavy on the courtroom stuff with Archie. Now that he’s pled guilty and he’s in juvenile detention, what can you say about his fate? Speaking of Veronica, she tells her dad in this episode, “You have no daughter.” So how is that going to affect the Lodge family? Hermione especially, dealing with this crazy family life and mayoral duties. Another character I wanted to ask you about is Betty. We find out she’s been lying and hiding drugs all summer, and really avoiding the trauma from Season 2 — and then the episode ends with her having a seizure! How might this affect the rest of the season? Yes — and in the trailer we saw the Gargoyle King right behind Betty. So is that related to the end scene when she is seizing and having this crazy vision of the babies floating? What I’m interested in is this game that Dilton and Ben are playing. What can you tell us about this game? Will that be part of the mystery? We also in the premiere see the return of the Ghoulies when the Serpents are trying to save Hot Dog. How much will that rivalry play into the rest of the season? And then I had a question for you just about your day-to-day. How has it been balancing “Riverdale” and “Chilling Adventures of Sabrina”? We know not to expect a crossover at least anytime soon, but when working on two shows at the same time, do you find that an idea you had for “Riverdale” might not work there, but on “Sabrina” instead, or vice versa? We finally got to learn about the Gladys and Jellybean casting during New York Comic-Con over the weekend, which I know was exciting for fans. Have they been on set already? What can you tease about how they’ll fit in? And how will Betty get along with Jellybean and Gladys? During our interview at TCA this summer, we talked about another musical episode happening in Season 3. Have you narrowed down which musical yet? Yeah. So we talked about “True Detective,” you mentioned “Shawshank Redemption,” and obviously the flashback episode is inspired by “The Breakfast Club” — what, if any, other pop culture or pulp crime touchstones did you draw inspiration from for this season? “Riverdale” airs Wednesdays at 8 p.m. on The CW.